We designed our game to use the lowest amount of gas possible for our functions. The transactions cost range from only $0.02 to $0.06 with waiting times on the Ethereum network from 1–3 minutes. Some functions cost a little extra fee like our breeding function with 0.0025 ETH but the gas/fee used is as little as $0.02 to $0.06! 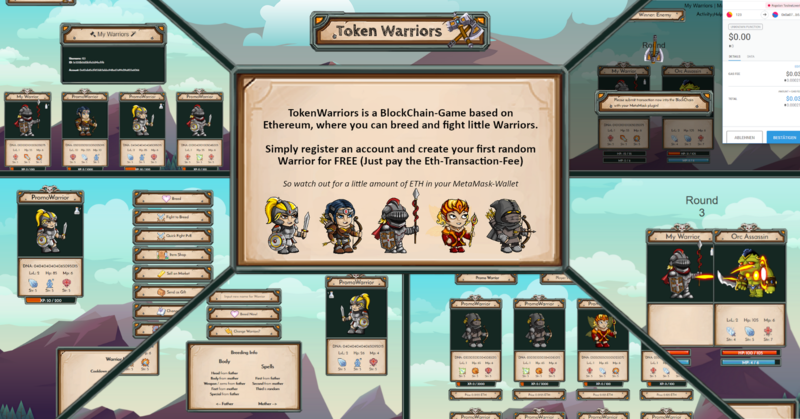 After your first transaction to create your free TokenWarrior, click the newly created card to get to the Warrior info screen. There you have a lot of choices to click on, but for this tutorial we use the “Item Shop” button, to buy your first Item. 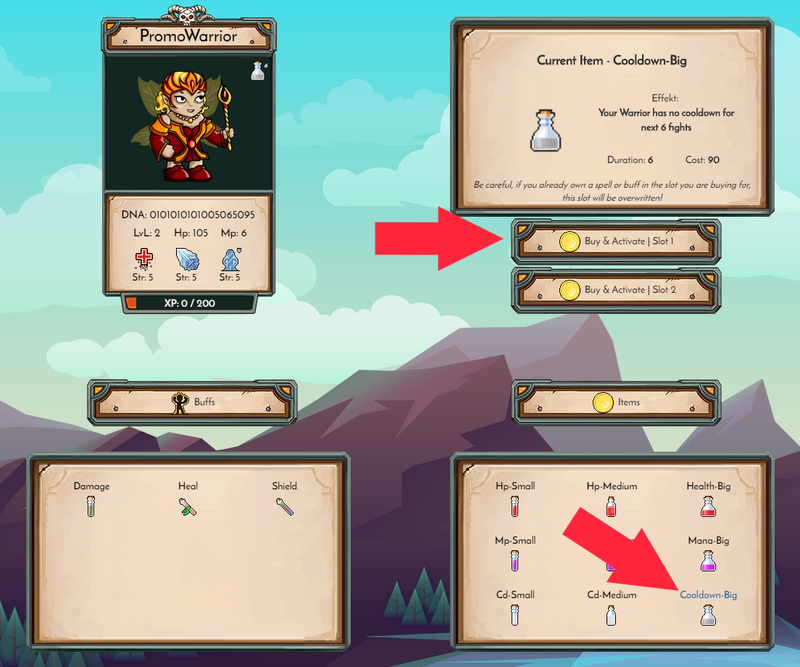 Your first Warrior provides you with 210 Gold as a little present, so we can buy a “Cooldown-Big” Potion on slot 1 for 90 Gold. Now we can fight some enemies in PvE or even real player in PvP without needing to wait for the cooldown after every fight.